The recent explosion of praise and high expectations for the 2010 Packers has elicited different reactions. It has been welcomed, shunned, echoed, and scoffed at. Personally, and I’ll throw my two cents in after everyone has had their say, I think self esteem is an important aspect in determining overall positive mental health, so praise is always good….unchecked narcissism, however, is just irritating. My big worry with this is my ol’ buddy from middle school, Aces (yeah he had this name in middle school) McTierney, will take this to the bank…or in his case the bookie. Aces never found something that he couldn’t/wouldn’t/shouldn’t bet on. He set the over/under on number of tater tots we’d get from Maude the Lunch Lady, he’d have lines for dodgeball matches during recess, and somehow ran a roulette game with the merry-go-round. At 14, he got a fake id and would go to Oneida Casino every weekend…ALL weekend. I haven’t seen Aces since he left high school his junior year for Monte Carlo by way of Vegas, by way of Reno. Every once in awhile I’ll get a letter on some hotel stationary asking how I’m doing and telling me, “I’m up. Good run lately.” Enclosed will be some cash, and he will ask, “What are we at now?” as he still owes me some serious cash for a long string of tater tot bets. This kind of press about his favorite football team may make Aces do something irrational, as his blind love for the Packers always negated his skill and knowledge at gambling. I hope that before he lays out his money he checks the NFL Odds because no one predicts football better than the oddsmakers…if they’re wrong they lose money, if so-called pundits are wrong, they lose...wait….nothing really. What a great job to be at ESPN. So, Aces, if you read this while taking a break from a cold streak, enjoy the adulation for the Pack, but take these predictions for the Packers for what they are, offseason speculation to fill the void. I love the name Aces McTierney and I love the Packers hype because I know we can back it up. Super Bowl or bust! Those are usually the two options Greenfield. FYI Hillside, I say "Aces" McTierney on the FBI 10 most wanted list. Apparently he lost big on a camel race to Bin Ladin, and is now working off the debt delivering cave-tapes to Al Jazeera. 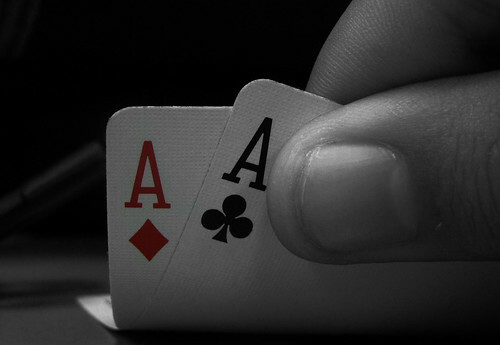 Aces may take some long odds but he never welches!